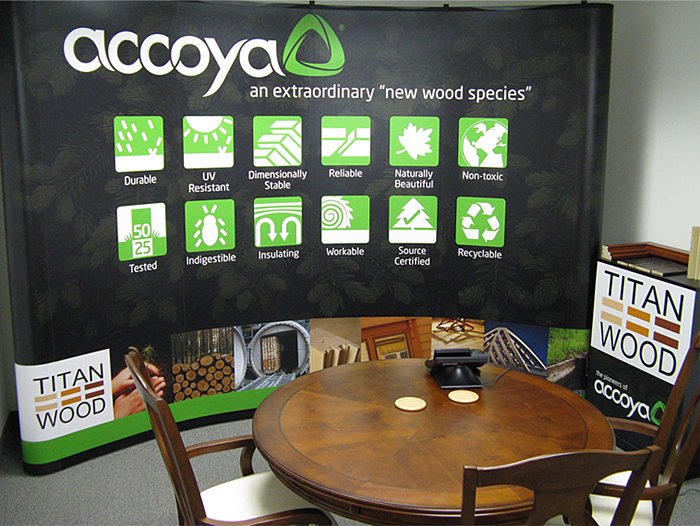 We have created several large-graphic tradeshow displays for Accoya, manufacturer of Titan Wood… a popup booth and tabletop displays. 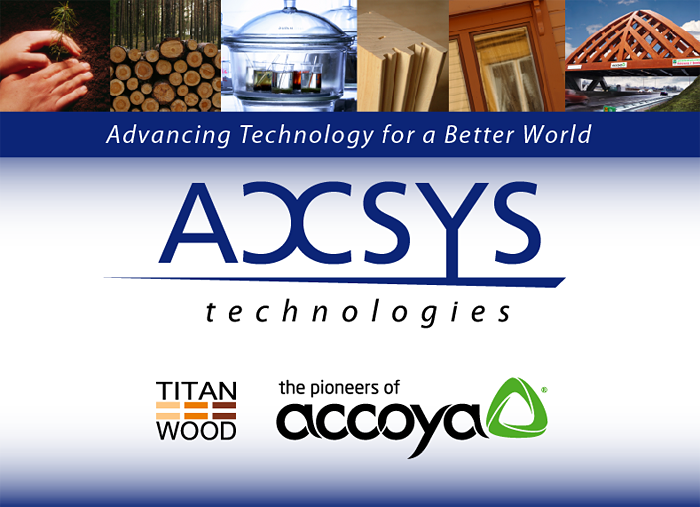 Though it’s satisfying to create a brand from scratch, it’s also neat to work within existing brand guidelines and help a company expand their brand with new collateral, which is what we did for Titan Wood. Notice the photo strips in both pieces – this is a neat way they tell their story of the wood from start (planting the seed) to the finished product. This is something they do on many different graphic elements and a nice way to communicate a marketing message quickly.